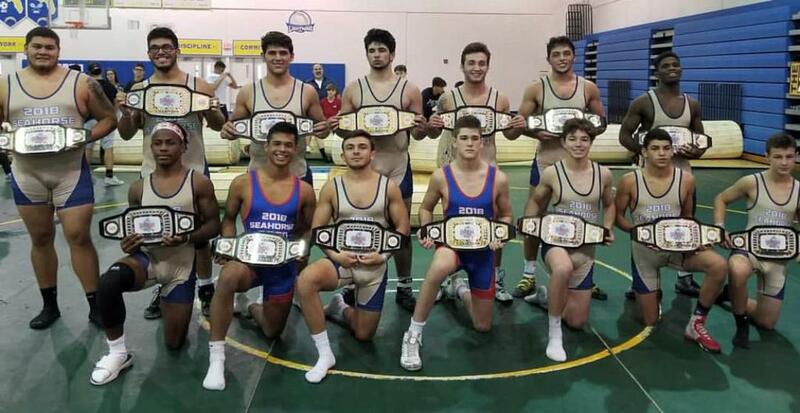 Team Florida will organize 2 teams for the Journeymen International World Duals. 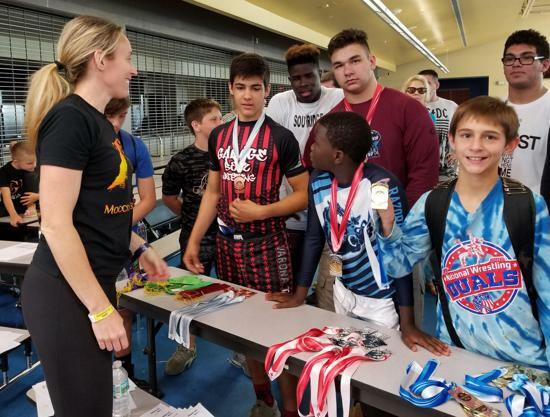 Athletes pay their own way, Team Florida will organize travel, hotel, entry fee and provide a Florida National Team shirt and singlets for the event. Dual meet competition will be on Sunday, April 14th. The athletes will be selected from the pool of applicants and be put on Florida Red or Florida Blue Team. After your son is signed up you will receive updates with more details as flight info and calculated trip cost. 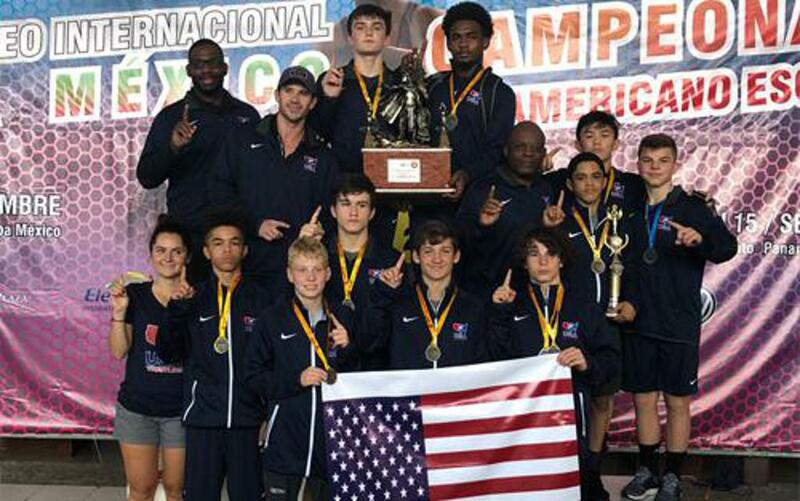 The dual team is a combination of Cadet 16 U and Junior age groups. We need a confirmation ASAP so trip cost can be calculated as well as ordering gear. Departing either Thursday April 12 in the evening or Friday, April 13 early morning, then returning on Sunday, April 14. Athletes are available to leave from either a South Florida or Central area airport designated. Cost of trip may vary on location of departure. Anyone can register and compete in the individual tournament held on Saturday, April 14th. But they will have to take care of their own travel and hotel accommodation. 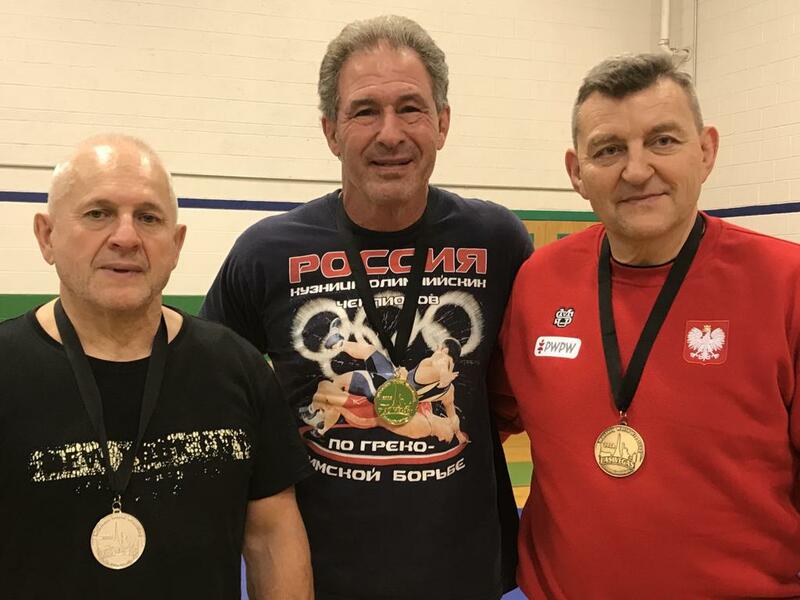 Brennan Van Hoecke and Marc-Anthony McGowan win Gold Again!! Marc-Anthony McGowan and Brennan Van Hoecke win Pan Am Golds!! 2018 Team Florida’s Triple Crown Champions!!! 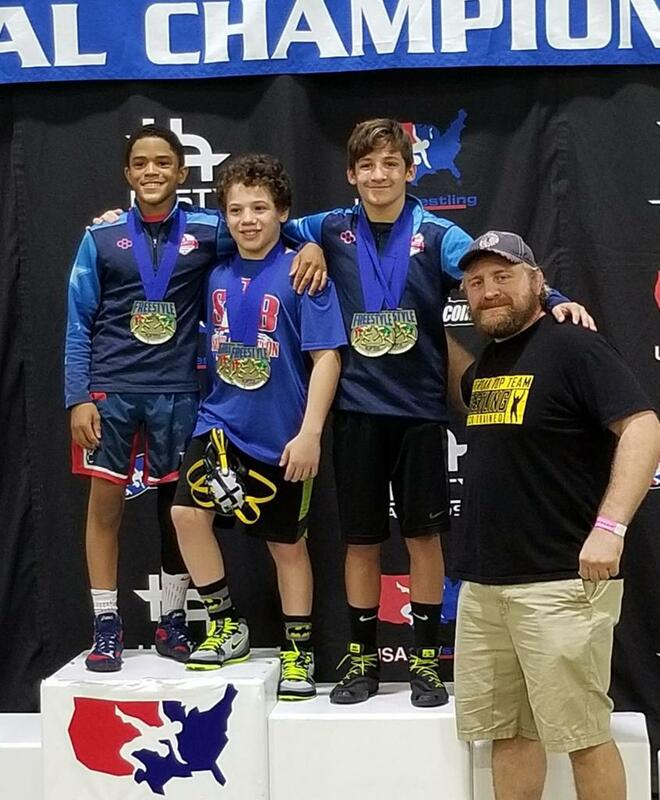 Congratulations to Marc-Anthony McGowan (Schoolboy 90), Bas Diaz (Novice 117), & Brennan Van Hoecke (Schoolboy 106)!!! 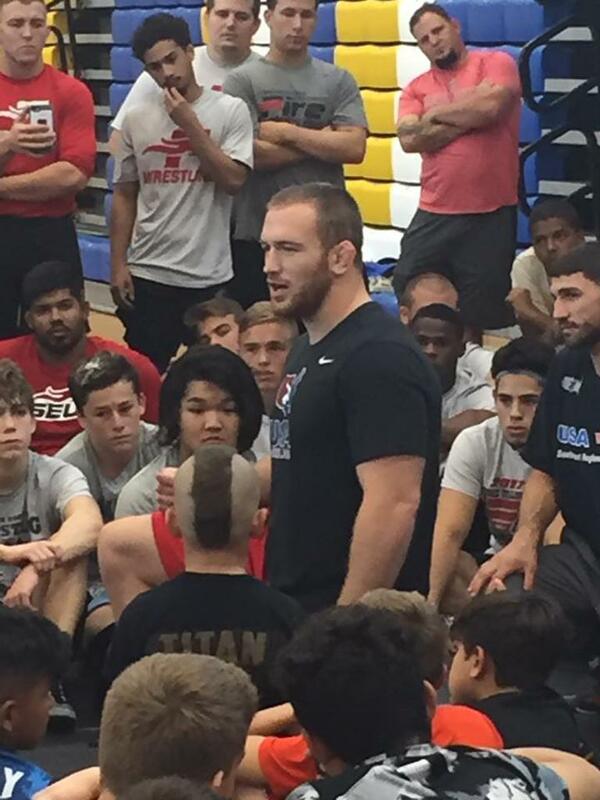 With them is Florida State Chairman, Olympian, & 2x NCAA Champion Steve Mocco!!! Team Florida Junior Womens Team - All American 5th Place!!! 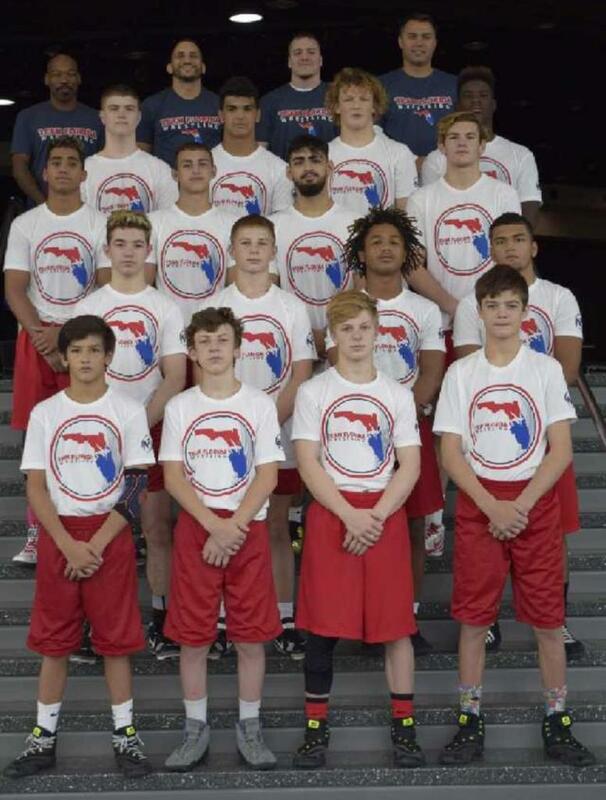 Team Florida competed June 13-16,in theCadet Duals. Won the Green Pool in Greco, wrestled in Bronze/Copper Pool in Freestyle. Brendon Abdon (120) went 6-0 in Greco, named to All-Tourney team. 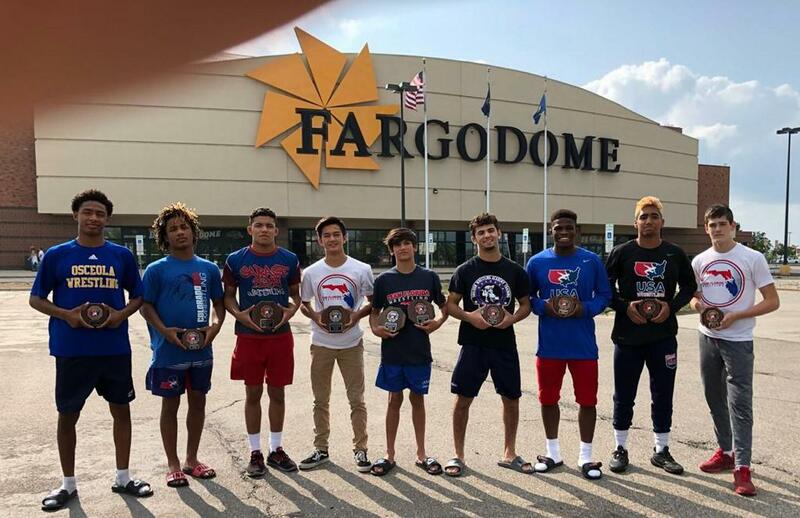 Team Florida placed 10th in Freestyle & 11th in Greco-Roman; Brennan Van Hoecke (106) was All Tourney Team in both styles 15-0; Joe Gunzalez (125) was All Tourney in Greco 7-0; Christian Moder (97) was All Tourney in Freestyle 8-0. 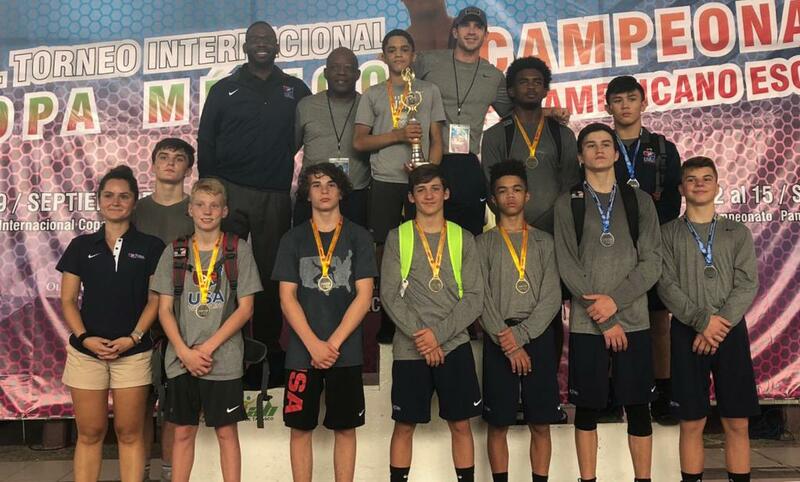 Chase Thompson of Boca Raton, Florida, wrestling for the USA at 110 kilos, was one of 5 for Team USA to win Gold on the first day of competition in Guatemala. 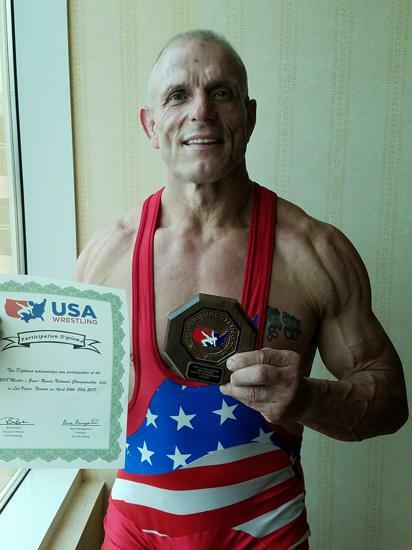 Thompson put together a solid day, tallying a tech fall, pin and decision en route to his first international medal. 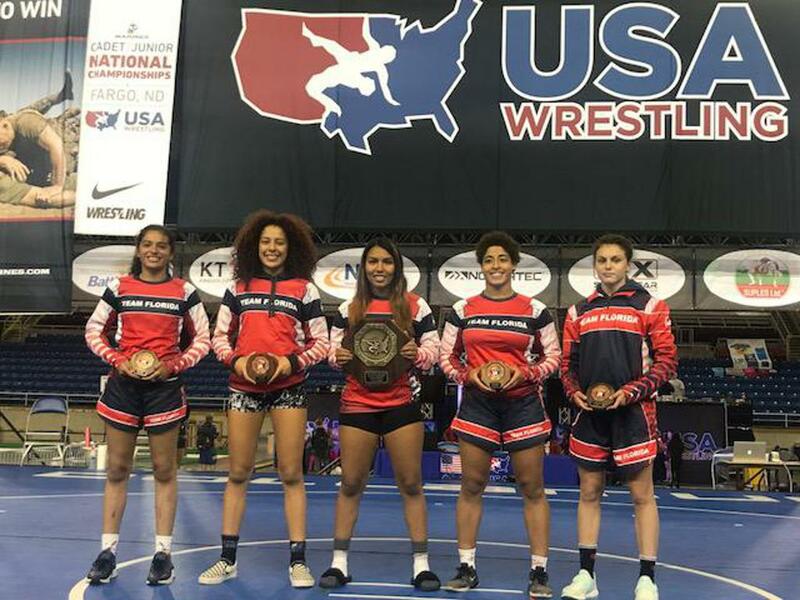 Seven women from Florida placed in the Women's Nationals tournament held in Irving, Texas, this past weekend. 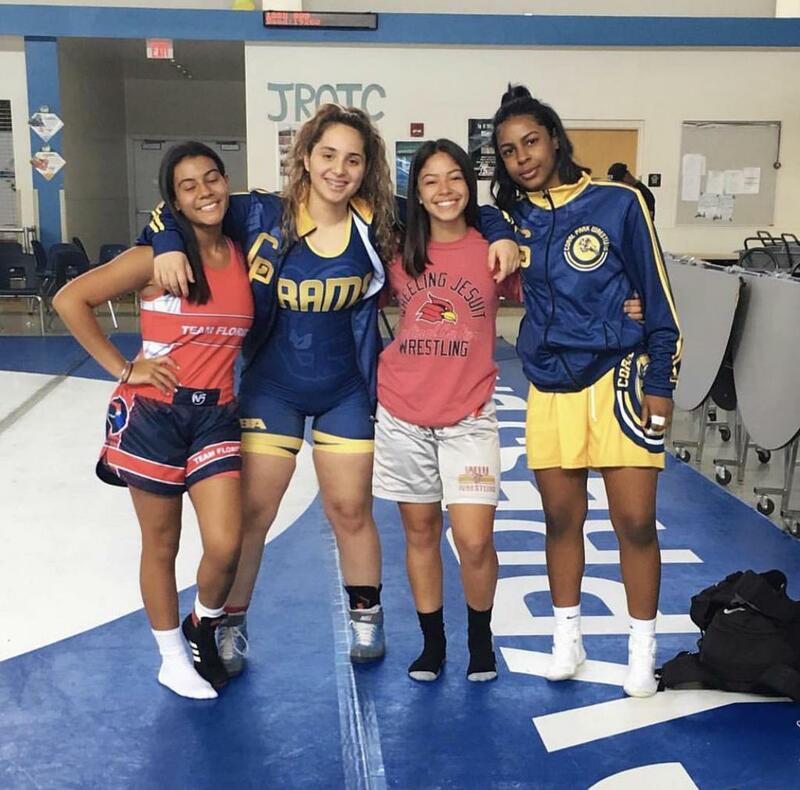 In the Juniors, Abnelis Yambo placed 3rd at 62 kilos, Shania Gowan was 7th at 76 while Ana Luciano was 8th at 65. In the Cadets, Jessica Corredor was 6th at 43 kilos. 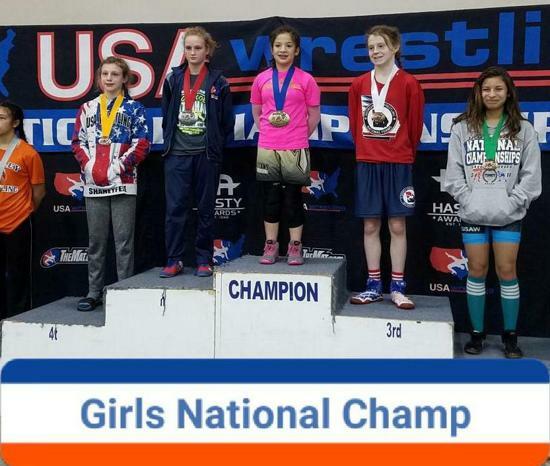 Three women from Florida, Eva Diaz, Emma Bacon and Violet Diaz won honors in the Kids tournament. Eva Diaz placed 7th in the Schoolgirl Division at 92-pounds. Emma Bacon was runner-up at 60 and Violet Diaz was 5th at 65 in the Novice Division. 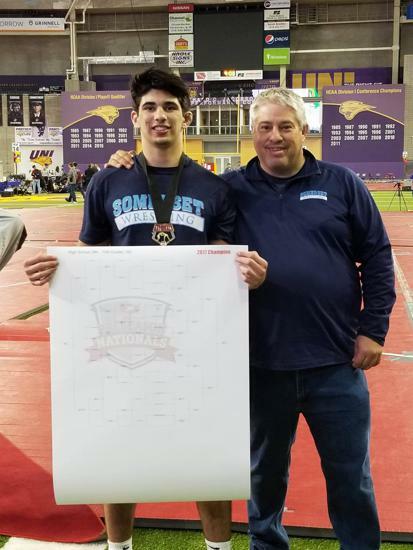 Three siblings from the Bouzakis family, Nic, Vince and Jaclyn, along with Brennan Van Hoecke, Marc-Anthony McGowan and Bas Diaz, all won National titles at the USA Wrestling Folkstyle Nationals held in the Uni-Dome at Cedar Falls, Iowa in the last week of March. Nic Bouzakis won the Cadet 120-pound title, with a victory by a 15-2 major decision against Jesse Mendez. Mendez was also a Schoolboy national champion last year. Vic competed for the Tampa Bay Caveman Club. 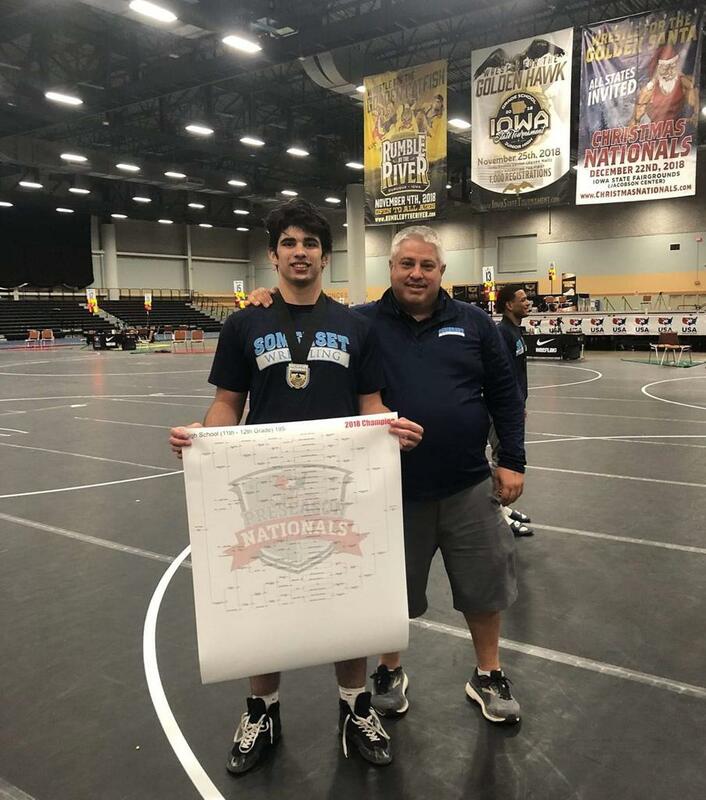 Bouzakis was a 2017 USA Wrestling Folkstyle National Champion and is a two-time FHSAA Champion winning titles in Class 1a for Citrus Park Christian and in 2017 and Lake Highland Prep this year..
Vince Bouzakis of Team Greco, won the Novice 78-pound title with a pin in 2:10 against Peyton Lee. 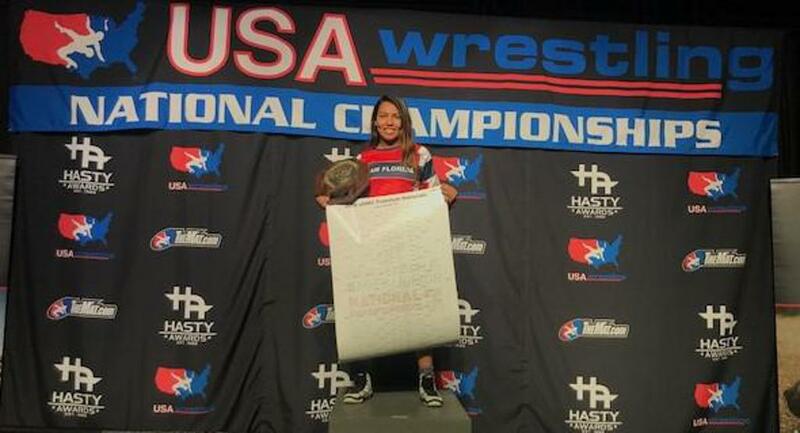 Jaclyn Bouzakis, also of Team Greco, won the Intermediate 49-pound title via a 5-1 decision. 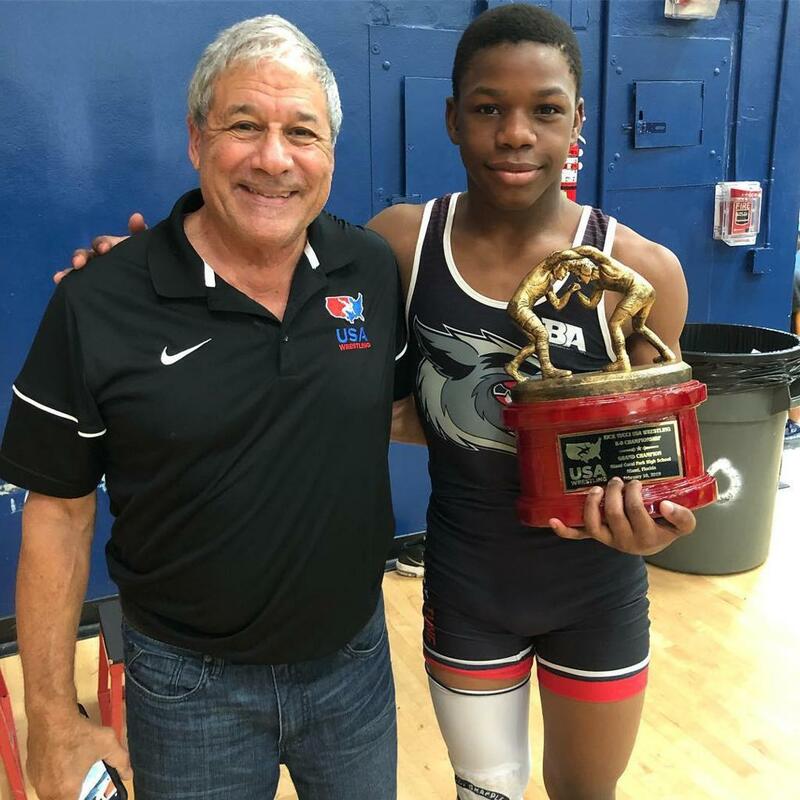 According to a USA Wrestling article, “At 87 pounds in the Schoolboy division, Marc-Anthony McGowan of Florida’s Ramos Training Wrestling Club, impressed for his first folkstyle national title, picking up five impressive wins. 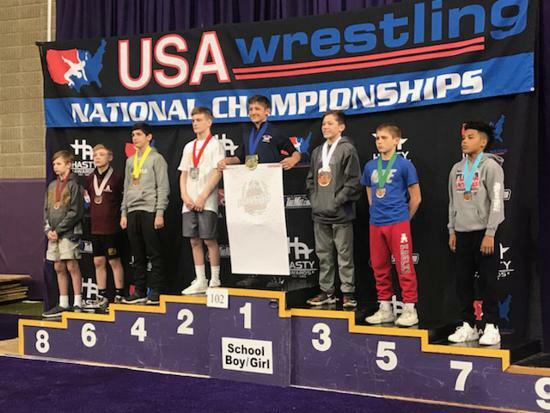 En route to his first championship, McGowan dominated four-time USAW Folkstyle Nationals champion and returning champion Caden Horwath of Michigan with an 11-2 major decision. McGowan finished off the tournament with a 5-0 shutout over Zachary Silvis of Minnesota. 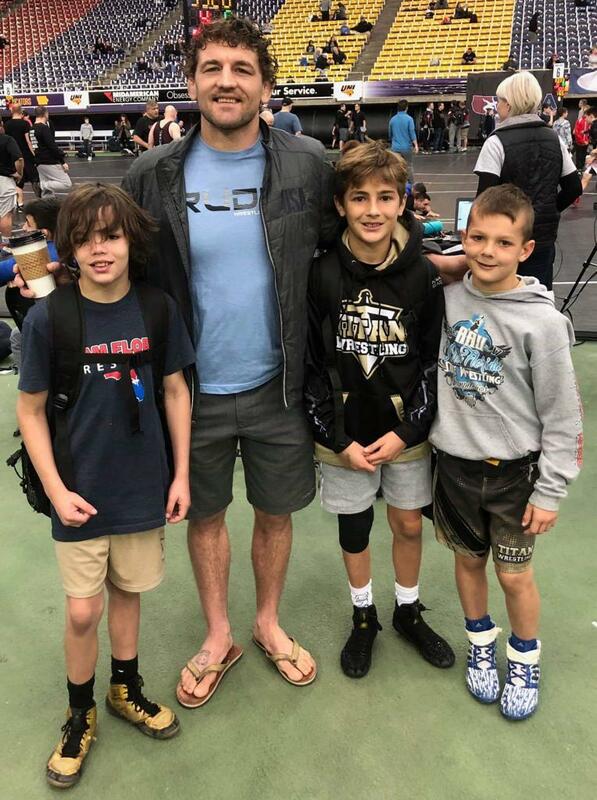 Brennan Van Hoecke of Florida navigated a loaded 102-pound Schoolboy/girl bracket that featured eight seeded wrestlers. 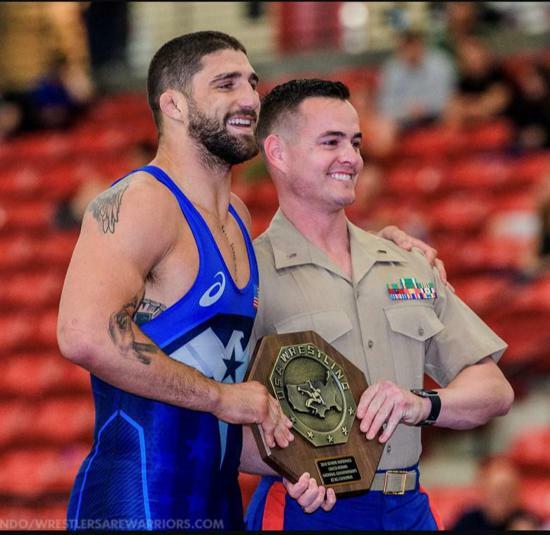 The field included 2017 Novice Folkstyle champion Angelo Ferrari of Texas, who Van Hoecke defeated in the semifinals in sudden victory, 3-1. 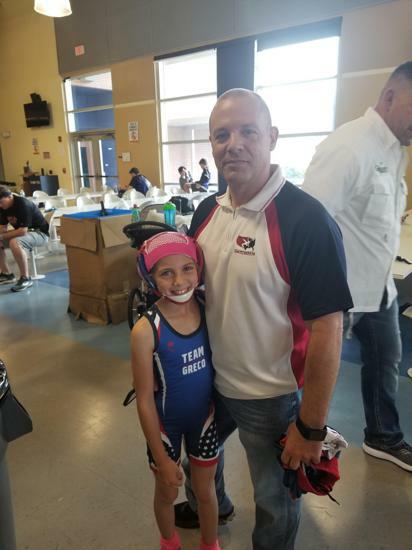 Bas Diaz of the Naples Titans, matched his sister, Eva, in winning a Folkstyle National title. Bas won at Novice 108-pounds, via a 4-1 decision in the finals. 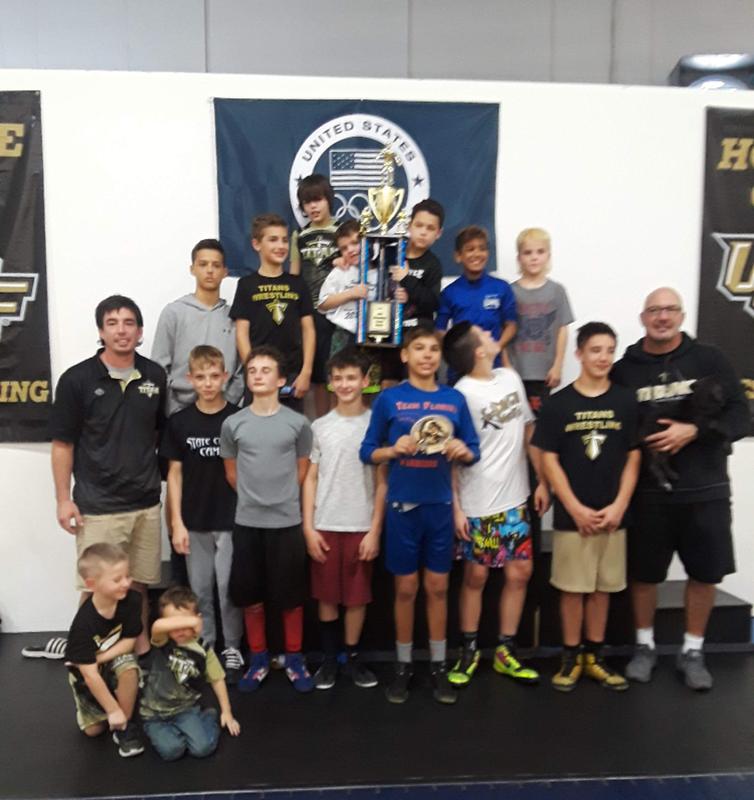 Winning All American honors from Florida were Tom Crook of the Caveman who took 5th at 113-pounds as a Cadet; Jean-Paul McGowan of Ramos Training Wrestling Club was 7th at 49-pounds as a Bantam.and Sebastian Degennaro of Team Barracuda was 5th place at Novice 70. 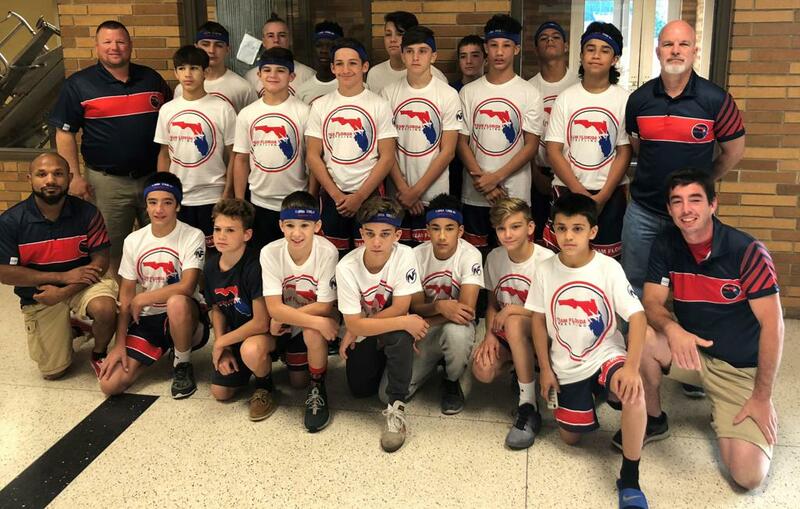 If I missed anybody from Florida who won All American honors, please email me at team floridawrestling2018@gmail.com. Diaz used a merkle to earn a 3-point nearfall to win her Championship Finals bout by a 3-1 decision against Olivia Hamma. Earlier, Diaz won her first bout 6-4 with a takedown in Sudden Victory overtime, plus she won her semifinals bout by a 5-2 decision. Diaz, only 13-years old, has been wrestling for 7 years. She is the second oldest of five children, her sisters Madison and Violet plus her brothers, Bas and Boaz, all drive from their home in Miami, for two hours, each way, across the Everglades to Naples to train twice a week. 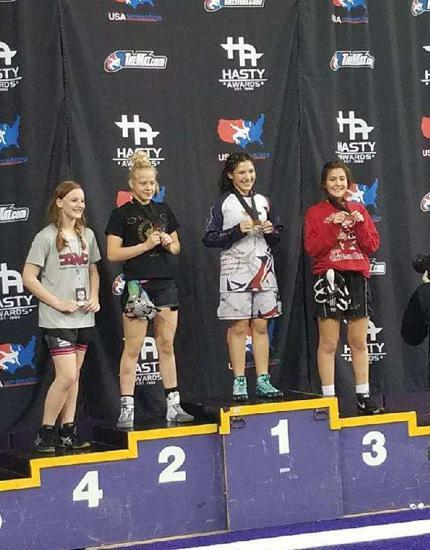 The drive is well worth it as both sisters won All American Honors in Oklahoma City; Madison won a bronze third place medal at 152 wrestling as a Cadet while Violet took 6th at Novice 65. Diaz has many coaches to thank for her title. 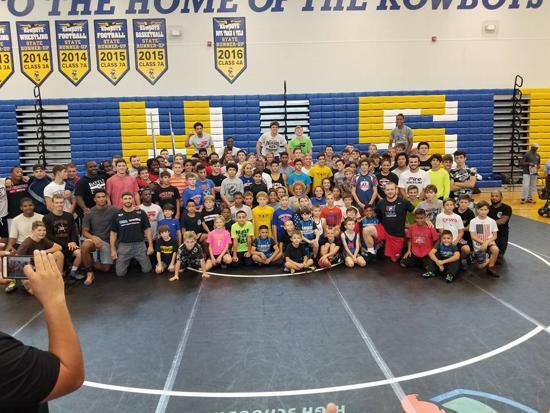 Among them are Shaun Moder and Shane Hillis from Naples Titans, Nestor Varona of Garage Girlz, Coach Martinez of Miami Coral Park and Coach Chris Ramos of Citrus Park. Florida’s other two All Americans, both in the Junior Division, were Anna Luciano (Osceola Kowboys), 4th at 152 and Shania Gowan (Florida Jets), 5th at 164. This will take you directly to USAW website to purchase your membership card. 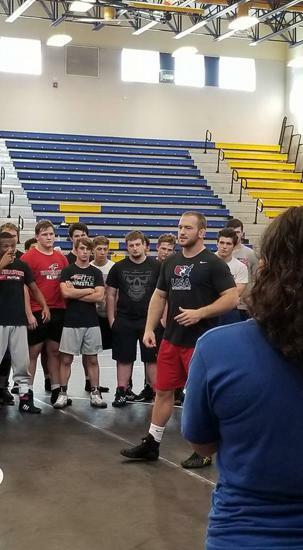 There is a new type of Membership called "Wrestling Leader" that replaces and combines the former types of "Coach" and "Official" effective now for 2018-19. Don't be afraid to stick your neck out! Let's get the numbers in tournament up! ...click to view complete list. 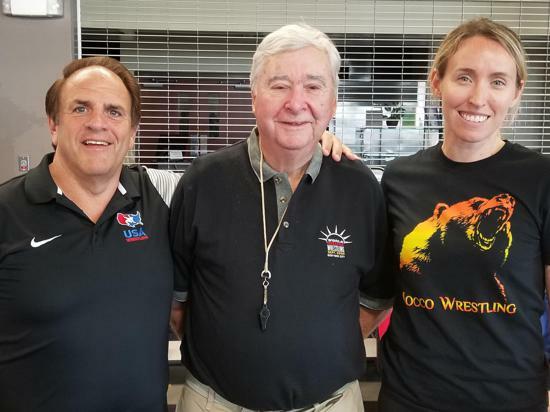 ©2019 Florida Amateur Wrestling Association / SportsEngine. All Rights Reserved.